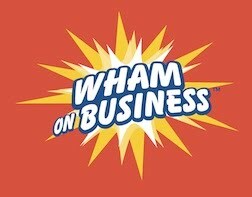 Wham on Business: Which Business Should You Start? So, you’ve decided to go into your own business. Hopefully, you’ve taken the personal inventory test from Blog #1 and you fit the necessary personality traits that will improve your chances for success. 1) A business that matches your expertise. Do you really know the ins and outs of the daily workings of the business you plan on entering? If not, on-the-job training can lead to ruin. 2) A business that has an identifiable niche. Any fool with some disposable income can start a gift shop in the mall. And, most of those fools end up broke! Before you plunk down your hard earned money, ask yourself “what is the unique selling proposition (USP) of this business? If you have an USP, you’ve got a great chance for success. 3) A business that offers sufficient margins for profitability. I’m not talking about a product that you mark up 100% and think a 50% margin must be great. Instead you need to fully understand all of your direct and indirect costs. And those costs must be less than your sales prices. This means knowing completely what all of your expenses are and whether or not you can sell enough product or service to leave you with a profit at the end of the day. 4) A business that offers the potential for recurring revenue. It’s a heck of lot easier to make money in business if you have repeat customers. Otherwise, you have to sell a very high end, expensive product or service in order to make a profit. Generally, an expensive product or service has a long sales cycle which, unless you’ve got a very rich uncle, can drain your capital and cause bankruptcy. If your business has these 4 basic principles, you have a good chance of being successful. Next week’s blog: Why Should Anyone Follow You?